Phil Dale, on leaving school at 16, went straight into show business and worked continuously as a performer as part of a group and later as a vocal musical and comedy double act. Whilst still in his early 20’s, he decided that the management side of the business interested him more than the performing side and, having been born in the North West of England, he became an agent in that part of the world. He joined the Miller Bourne Agency and spent three and a half years in South Africa booking major attractions into the famous Sun City and other prestigious venues in Cape Town, Johannesburg and most of South Africa. Returning to London, his ability to find and book major attractions for night clubs, theatres and television was noted by the late Billy Marsh, Chief Executive of the prestigious London Management Agency. Billy soon offered him a position as an agent where he spent ten happy years. He later joined the Qdos Agency and Production company of which he is still a director and, where to this day, manages his many stars – to name just two, Errol Brown from Hot Chocolate, who has just received an OBE from Her Majesty The Queen, and of course, one of the biggest stars in the country today, Shane Richie, best known for his role as Alfie Moon in EastEnders. 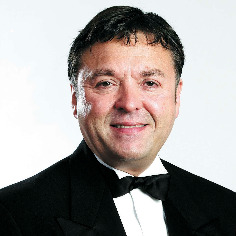 Phil also manages to devote a lot of his personal time to the Royal Variety Charity and is extremely proud to be Vice-Chairman and a Trustee.